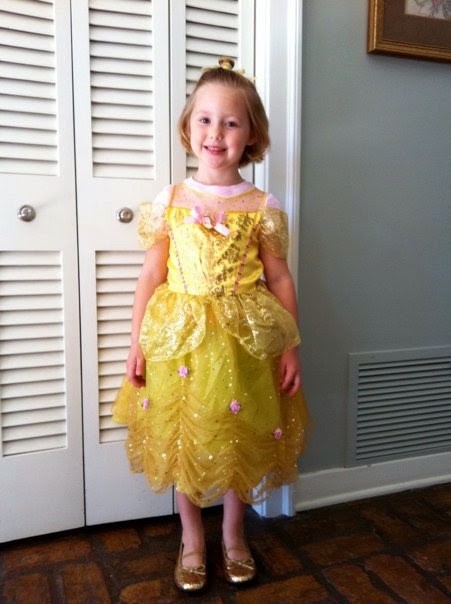 What is it about looking at pictures of past Halloweens that makes me so nostalgic? I'm not even a big Halloween person. So why do I tear up at a picture of a baby in a pumpkin costume or a little spiderman in his tough-guy pose? 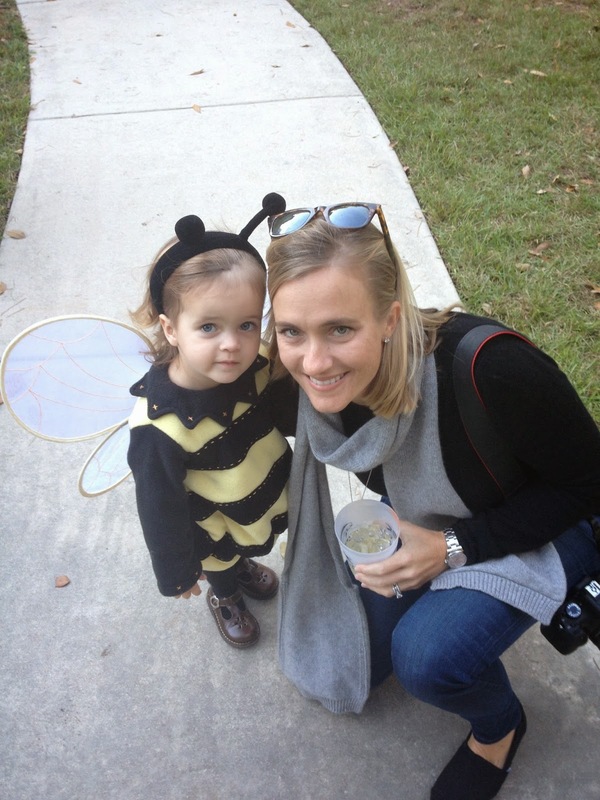 I can still hear Marian last year when asked what she was going to be for Halloween (she was a bumble bee), and she said, "I gonna be a bug." Remembering her little voice makes me want to laugh and cry at the same time. Perhaps it is because a photograph of those little people dressed up in the costumes of their favorite super heroes or even a bug epitomizes that moment in time more so than a picture of them in a pretty little outfit. It says something about who they were then. 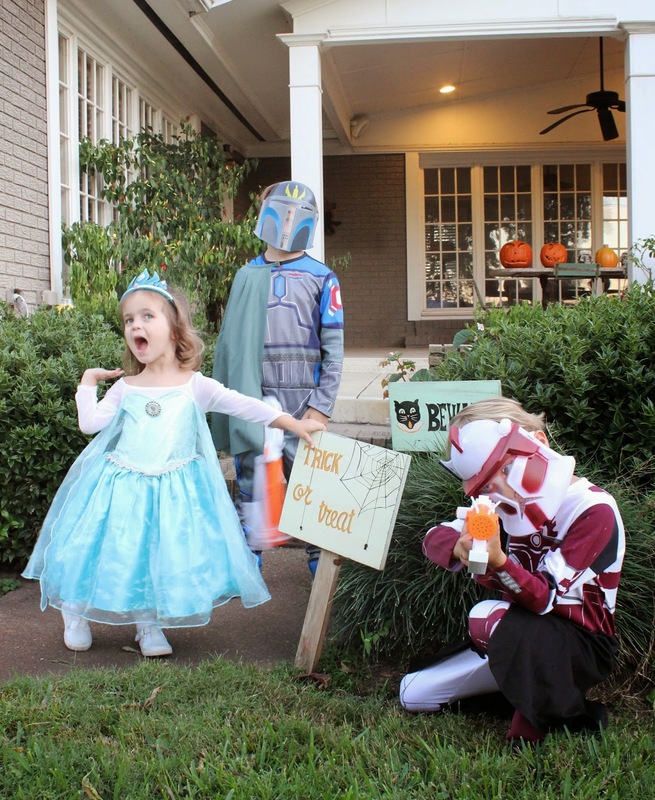 Maybe I'm reading too much into it, but I'm sure next year I will get emotional when I think back to Queen Elsa and Star Wars Troopers. I echo Emily's sentiments! This first picture of Wyatt is one of my favorites. 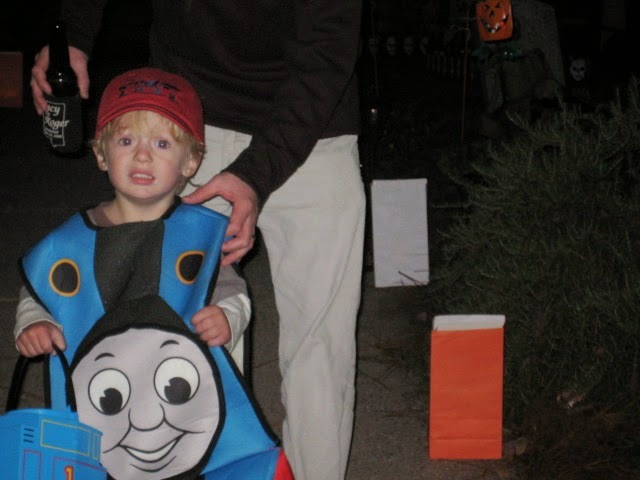 He was fleeing the front porch of one of our neighbors who was dressed as a witch. 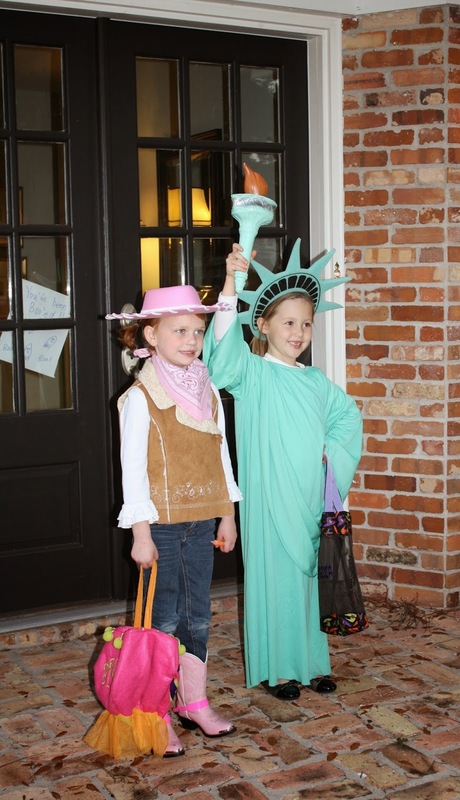 Another favorite is Virginia as the Statue of Liberty. 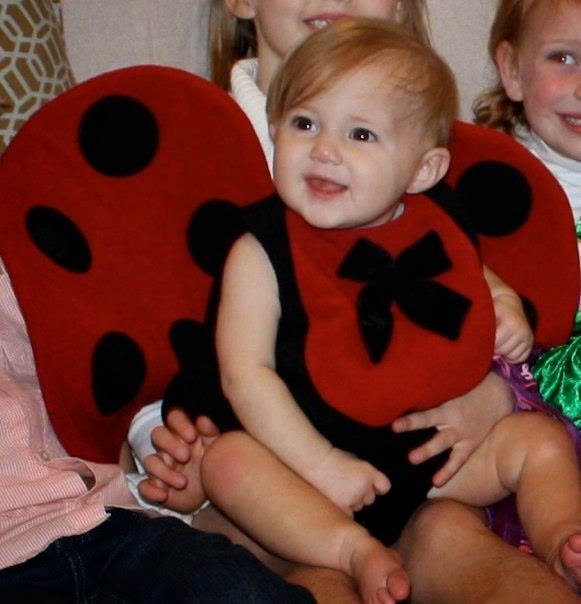 Oh what I would do to hold little Sally in her ladybug costume for just a few minutes! All of these costumes are just adorable!! I get nostalgic looking at my nieces and nephew from years past - so I can't even imagine what it must be like for your own kids LOL! Hope you have a great weekend! Thanks Biana! 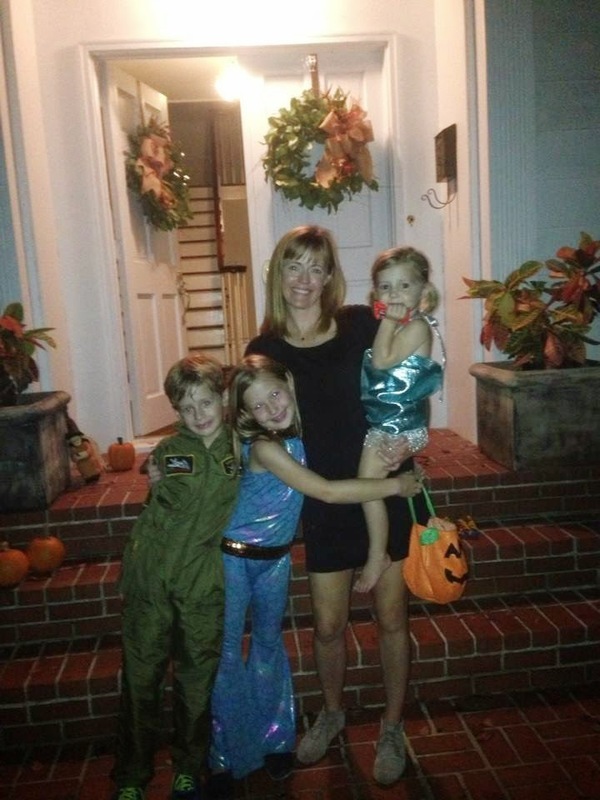 It is so fun to look back and see how they have grown. Have a great day!!! 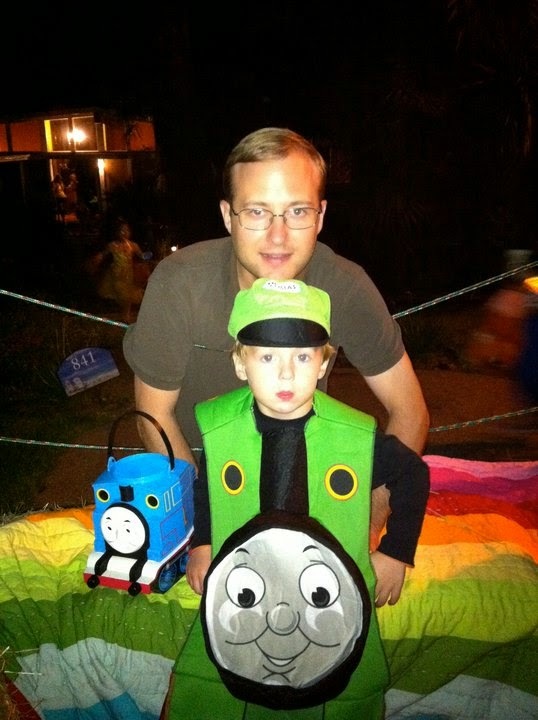 Look how cute all those costumes are! I love the statue of liberty and the ice cream come.. so creative! !